After Mouni Roy and Mrunal Thakur, another popular small screen actress is gearing up to make her BIG Bollywood debut with JP Dutta's next film. Check out the details inside. 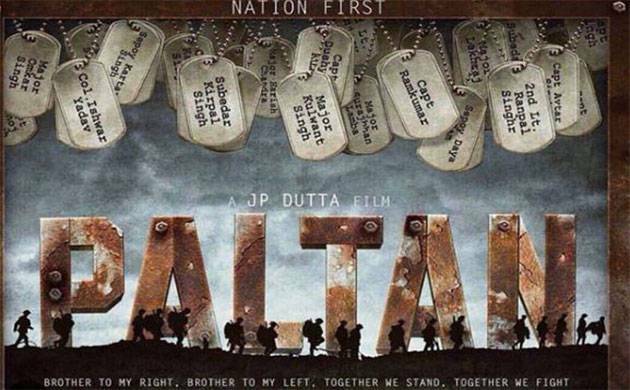 JP Dutta who has given hits like 'Border', 'LOC Kargil' to the industry is all set to present another war drama film. The ace director is currently busy with his upcoming film Paltan which is based against the backdrop of Sino-Indian war in 1962. The much-awaited film has an impressive line in the form of Suniel Shetty, Arjun Rampal, Rana Daggubati, Sonu Sood, Pulkit Samrat, Harshvardhan Rane and Gurmeet Chaudhry. JP Dutta who last helmed Aishwarya Rai Bachchan and Abhishek Bachchan starrer Umrao Jaan is directing a movie after a period of 12 years. The movie has turned out to be the launching pad for a popular television actress who made many viewers cry during her stint in Sasural Simar Ka. We are talking about Dipika 'Simar' Kakkar. The beautiful actress who won millions of hearts with her portrayal as Simar will start her journey of the silver screen. Dipika took to Instagram to share the good news with her fans and said that it is an honour for her to be part of Paltan. Interestingly, after Mouni Roy and Mrunal Thakur, Dipika will foray into Bollywood and prove her acting prowess. While Mouni will start her B-town innings with Akshay Kumar starrer Gold, Mrunal is making her debut with Hrithik Roshan's Super 30. We have some blockbuster news for the fans for Dipika who are eagerly looking to see the television diva in Bollywood. According to a report by SpotBoy E, the talented actress will be seen opposite another small screen heartthrob Gurmeet Chaudhary. Dipika is currently ruling the hearts of television viewers in the comedy-talk show 'Entertainment Ki Raat'. Dipika also participated in hit reality show Nach Baliye 8 along with her boyfriend Shoaib Ibrahim. It was on the very same show that Shoaib went down the knees and proposed her for marriage. We simply can't wait to see our favourite 'SIMAR' rock the silver screen with her magic.